Brad Hiskins, James Barker, Tracy Rowe and Nicole Punch attract the principal therapist rate. Direct billing to an insurance company is available in most cases with prior written approval. Please speak to your insurance company or call us for more information. 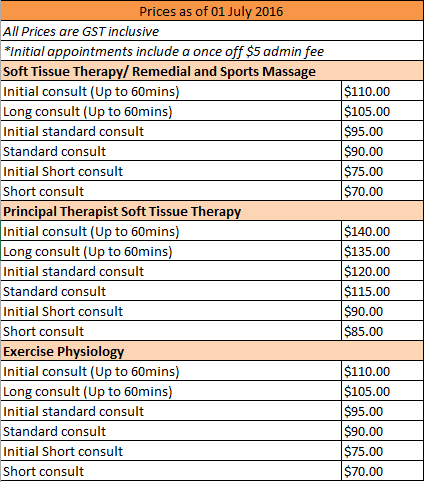 Private health care rebates are available for Exercise Physiology, and for Soft Tissue Therapists where client cover includes ‘Remedial Massage’. HICAPS terminals are available at Macquarie, Deakin and Woden for client claiming convenience. If you are unsure about your level of cover please contact your health fund. Medicare claims are available through the HICAPS terminal for clients of Exercise Physiology on an Enhanced Primary Care (EPC) referral from a GP for up to 5 sessions. There is a gap payment to be made on these appointments. 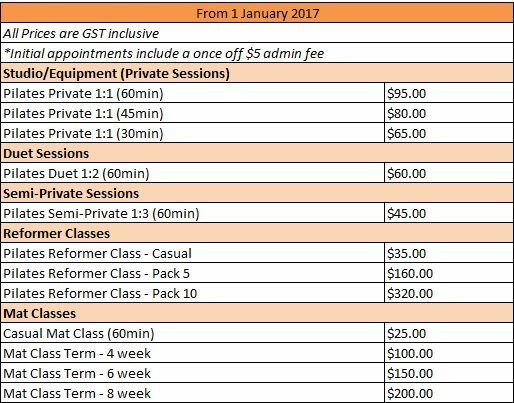 If you think you may be eligible for the EPC program please contact your GP.